Need to create an XML file from SSIS? These components can create flexible XML files with ease. 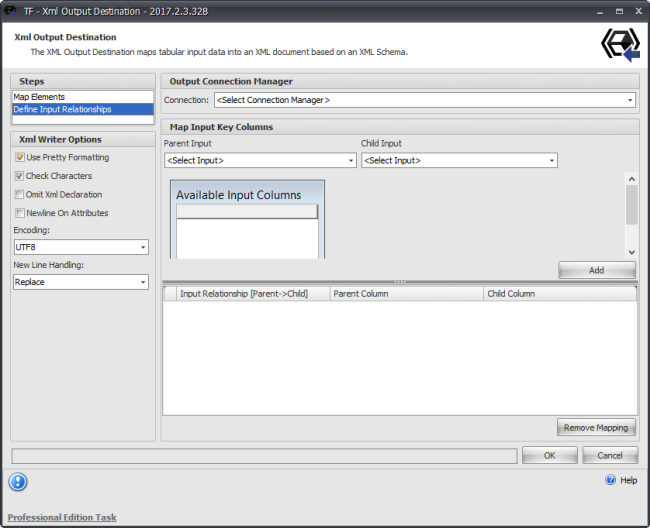 The XML Output Destination is a flexible component for SSIS that can output your data from one or many files into an XML file. You can properly format the file easily using an XSD file to your company's specifications. 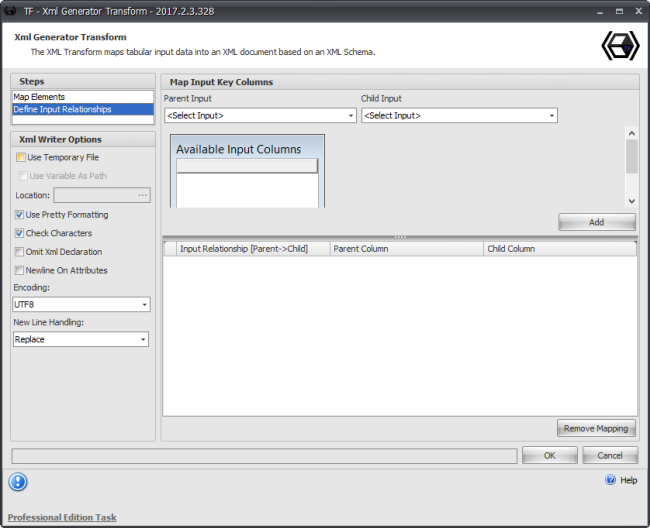 The XML Generator Transform can take data from nearly any SSIS data stream and convert it into an XML representation. Because this component is a transform, you can output the data to any destination at that point. It can take data from one or more data inputs.